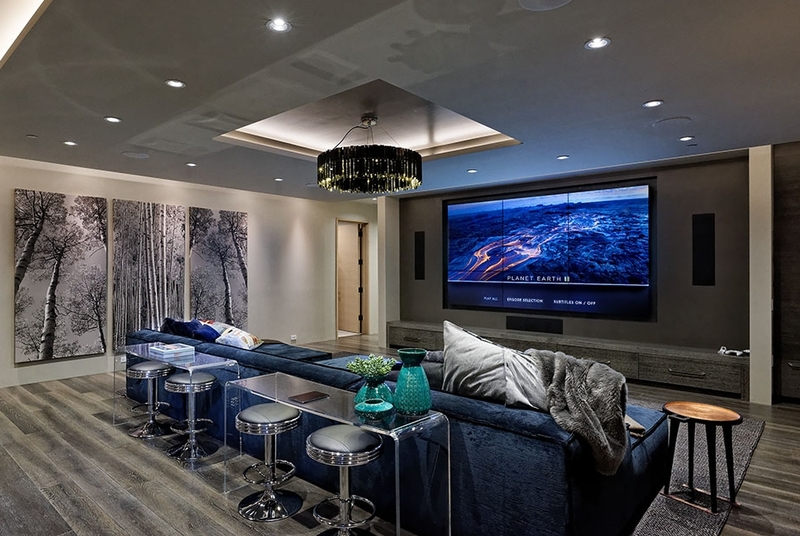 The Tiehack House is the first of its kind in Aspen, Colorado. Modern yet warm, luxurious yet completely liveable. Perched on three acres overlooking the world famous golf course at the Maroon Creek Club, the 13,690 square foot home includes eight en-suite bedrooms, eleven bathrooms, thoughtfully designed living spaces for every occasion, a home theater, billiards room, spa & so much more. Dining Area & Kitchen includes a square 9 seat burled oak table, built-in breakfast banquette, huge quartzite prep kitchen island and custom butcher block serving island.